The area of research called “Lineability” looks for linear structures inside exotic subsets of vector spaces. In the last decade lineability/spaceability has been investigated in rather general settings; for instance, Set Theory, Probability Theory, Functional Analysis, Measure Theory, etc. It is a common feeling that positive results on lineability/spaceability are quite natural (i.e., in general “large” subspaces can be found inside exotic subsets of vector spaces, in quite different settings) and more restrictive approaches have been attempted. In this paper we introduce and explore a new approach in this direction. Daniel Tomaz is supported by Capes. Daniel Pellegrino is supported by CNPq and Pronex-Fapesq. Vinicius Fávaro is supported by FAPEMIG Grants APQ-03181-16, PPM-00217-18; and CNPq Grant 310500/2017-6. 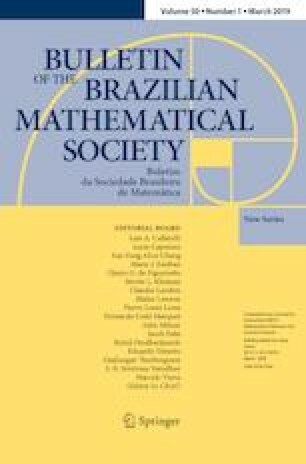 The authors thank Daniel Cariello, Fernando Vieira Costa Junior for important comments/suggestions, and also thank the anonymous referee for his/her careful reading and suggestions that helped to improve the final version of this paper.